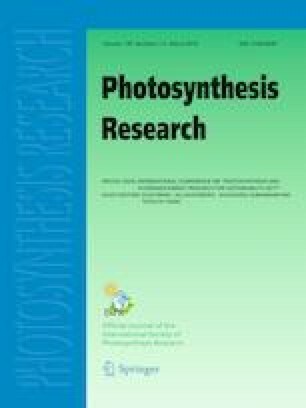 After briefly describing my early collaborative work at the University of Allahabad, that had laid the foundation of my research life, I present here some of our research on photosynthesis at the University of Illinois at Urbana-Champaign, randomly selected from light absorption to NADP+ reduction in plants, algae, and cyanobacteria. These include the fact that (i) both the light reactions I and II are powered by light absorbed by chlorophyll (Chl) a of different spectral forms; (ii) light emission (fluorescence, delayed fluorescence, and thermoluminescence) by plants, algae, and cyanobacteria provides detailed information on these reactions and beyond; (iii) primary photochemistry in both the photosystems I (PS I) and II (PS II) occurs within a few picoseconds; and (iv) most importantly, bicarbonate plays a unique role on the electron acceptor side of PS II, specifically at the two-electron gate of PS II. Currently, the ongoing research around the world is, and should be, directed towards making photosynthesis better able to deal with the global issues (such as increasing population, dwindling resources, and rising temperature) particularly through genetic modification. However, basic research is necessary to continue to provide us with an understanding of the molecular mechanism of the process and to guide us in reaching our goals of increasing food production and other chemicals we need for our lives. I dedicate this Tryst in research to my mentors: Shri Ranjan of Allahabad University, India (1899–1969), Robert Emerson (1903–1959), and Eugene I. Rabinowitch (1901–1973) of the University of Illinois at Champaign-Urbana, Illinois, USA. First of all, I thank all the thousands of undergraduate and hundreds of wonderful graduate students in my classes that I taught from 1961 to 1999 at the University of Illinois at Urbana-Champaign in different departments or programs: Plant Biology (earlier Botany); Biology (Plant Physiology and Molecular Biology); Honors Biology; Biophysics (and Quantitative Biology); Physiology & Molecular Biology (Cell Biology); and Biochemistry; and from 1954 to 1956 at the University of Allahabad, Allahabad, India, in the Department of Botany. I give special thanks to Rajni Govindjee for reading this manuscript, and making comments on my text, and for providing me most of the photographs shown here. I also thank my daughter Anita Govindjee for reading and correcting an earlier draft of this manuscript. I am highly indebted to Lars Olof Björn & Dima Shevela (of Sweden), Radek Kaňa (of Czech Republic), Robert (Bob) Blankenship, William (Bill) Coleman, Donald (Don) R.Ort, Rita Khanna, Alexandrina (Sandra) Stirbet & Barbara Zilinskas, (of USA), Kärin Nickelsen (of Germany), George C. Papageorgiou (of Greece), Xin-Guang Zhu (of China), Tatsuya Tomo (of Japan), Suleyman Allakhverdiev (of Russia), and Julian Eaton-Rye (of New Zealand) for reading and making suggestions for improvement before the submission of this text; Julian has my greatest gratitude, especially for his article about me in this special issue. I have accepted most of the suggestions of all the readers; all leftover errors are mine. I list those who trusted me to be their advisor (mentor and friend) for their graduate research; they are (chronologically arranged, with the names of countries from where they had come): Carl N. Cederstrand (PhD, Biophysics, 1965; USA; co-advisor: Eugene Rabinowitch); Louisa Yang (Chen Chou Ni) (Master of Science (MS), Biology, 1965; USA); Anne Krey (MS, Biophysics, 1966; USA & Germany); George C. Papageorgiou (PhD, Biophysics, 1968; Greece); John C. Munday, Jr.(PhD, Biophysics, 1968; USA): Frederick Y.T. Cho # (PhD, Biophysics, 1969; USA); Ted Mar (PhD, Biophysics, 1971; Canada); Maarib D.L. Bakri (Bazzaz) (PhD, Biology, 1972; USA & Iraq); Prasanna K. Mohanty# (PhD, Biology, 1972; India); Glenn W. Bedell, II (PhD, Biology, 1972; USA); Alan J. Stemler (PhD, Biology, 1974, USA); Barbara A. (Braun) Zilinskas (PhD, Biology, 1975, USA); Ralph Schooley (MS, Biophysics, 1976; USA); Paul A. Jursinic (PhD, Biophysics, 1977, USA); David L.VanderMeulen (PhD, Biophysics, 1977, USA); Thomas J. Wydrzynski# (PhD, Biology, 1977; USA); Daniel Wong (PhD, Biophysics, 1979; USA); James M. Fenton (Biophysics, 1980, USA); Willem F. J. (Wim) Vermaas (D,Sc., Agriculture, the Netherlands, 1984; USA & the Netherlands; advisor: JackVan Rensen); Rita Khanna (PhD, Biology, 1980; India & USA); William J. Coleman (PhD, Biology, 1987; USA); Julian J. Eaton-Rye (PhD in Biology, 1987; UK & New Zealand); Danny J. Blubaugh (PhD, Biology, 1987, USA); Jiancheng Cao (PhD, Biology, 1992; China & USA): Chunhe Xu (PhD, Biophysics, 1992; China); Hyunsuk Shim (PhD, Biophysics, 1992; S. Korea & USA; co-advisor: Peter Debrunner); Jin Xiong (PhD, Biology, 1996; USA & China); Paul Spilotro (MS, Biology, 1999; USA); and Oliver Holub (PhD, Physics; advisor: Robert M. Clegg; Germany).